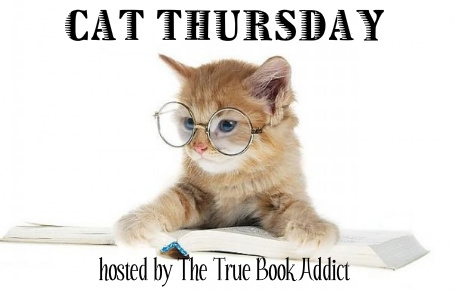 Yes, I'm participating in another read-a-thon! 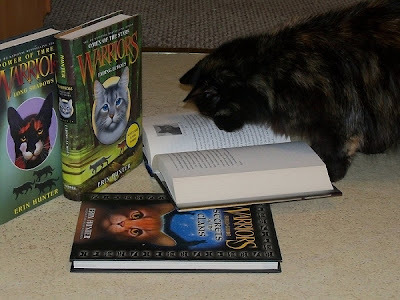 So, in honor of the read-a-thon week, I present to you some cats getting their read on. Enjoy! 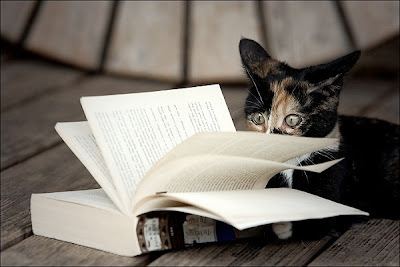 She certainly must have read something shocking. This one looks quite shocked as well! Great pictures, Michelle! I especially like the last photo. That cat is doing some serious reading! The first cat looks like she's reading Fifty Shades of Grey. LOL Great pics! Nice pictures you chose, Michelle! Just learnt that Mina prefers the Russian Classics to Jane Austen (maybe I am reading out loud the Russian classics much better than I do read out Jane Austen.. I don't know..) Have a lovely Cat Thursday! 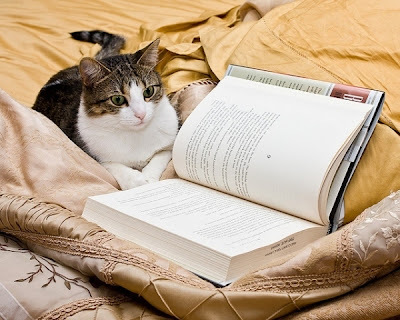 Cats that read? They must have more time in their day than I do. Every time I sit down with a book something happens. The cats are adorable ... great choice, especially for your blog. I love the one at the bottom! I have Harry Potter kitties this week! Who knew there were so many literary felines? Mine is a theme this week, too. Lol - Yvonne was thinking the same thing I was thinking! That first one is me, haha. I love "can't put down" books. hope you are feeling better. I'm trying to catch up with everyone's news since I've been away. Pens for Paws Auction...for a great cause!